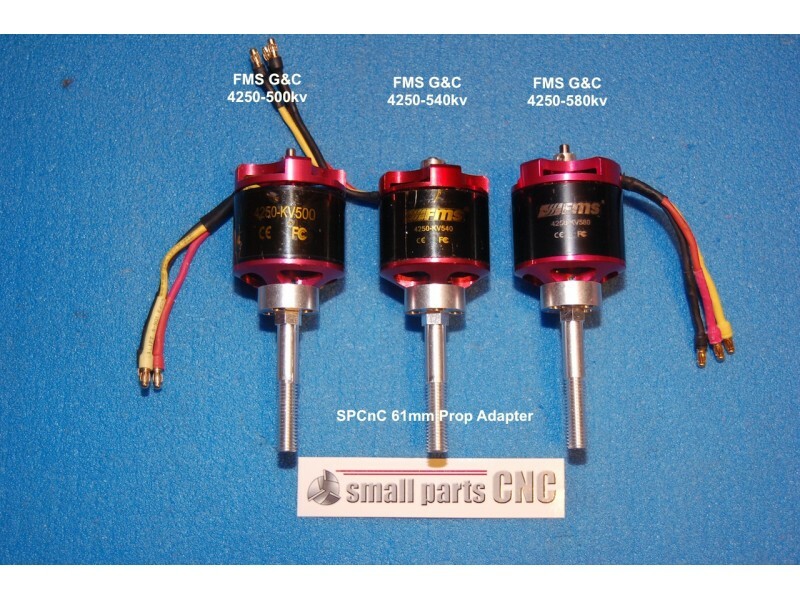 Our FMS 4250 series propeller adapters are CNC machined from billet aluminum. They are designed to be used with the FMS 1400mm and 1450mm models which use the FMS 4250 series motors. These propeller adapters have been designed with an extended propeller shaft to allow for a large variety of propellers and hubs. The propeller shaft is 52mm long from top of base to end of shaft. They have the proper hex nut machined right into the shaft for a perfect fit. 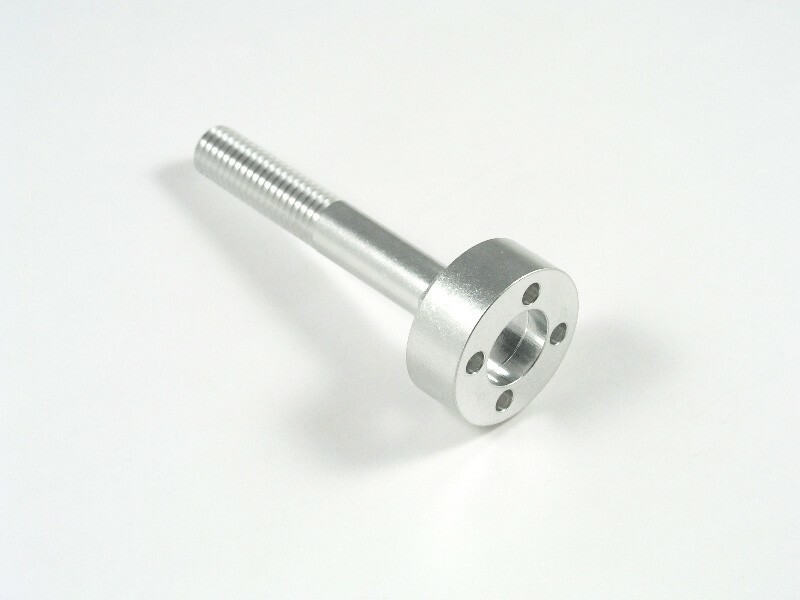 We have also added a 10-32 tapped hole on the end of the shaft to work with a variety of aftermarket spinners. Will also work as a stock replacement with the original hub. For more detailed info on propeller and model compatibility with lots of pictures and test data please visit Sandancers Blog on RCGroups. 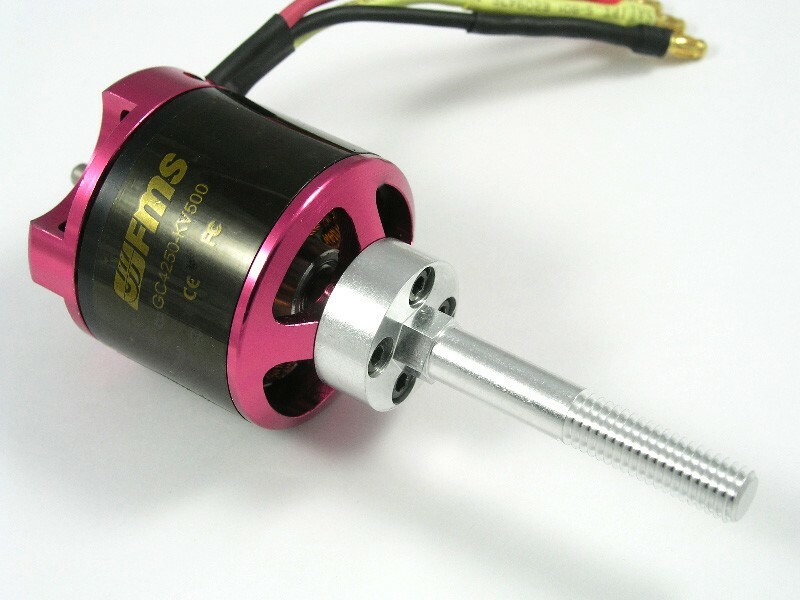 If your motor is not listed in the Compatible Motors list, please verify hole alignment with the dimensions below as well as with the mechanical drawing shown in the photos above. 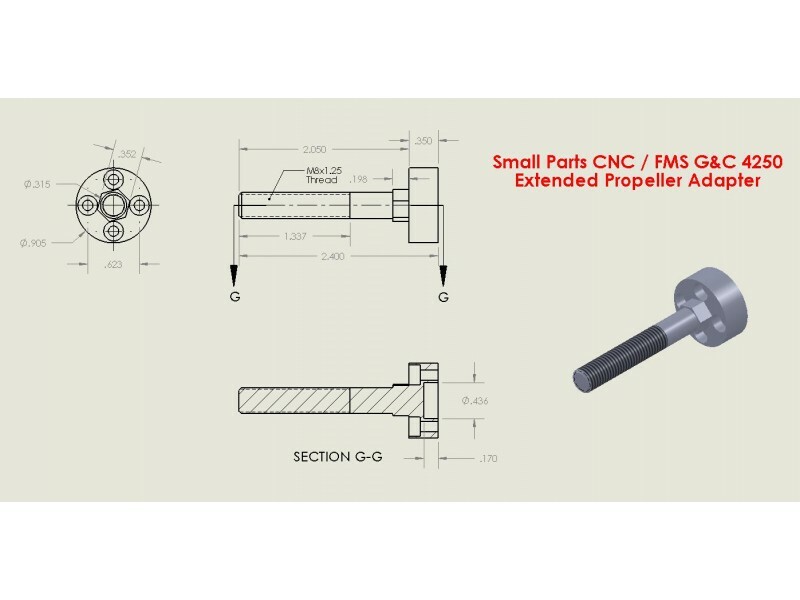 - Due to different style hubs FMS has available, please verify the hub you will be using will accept a 9mm flat to flat hex nut. The 8mm version hub will not fit these adapters. 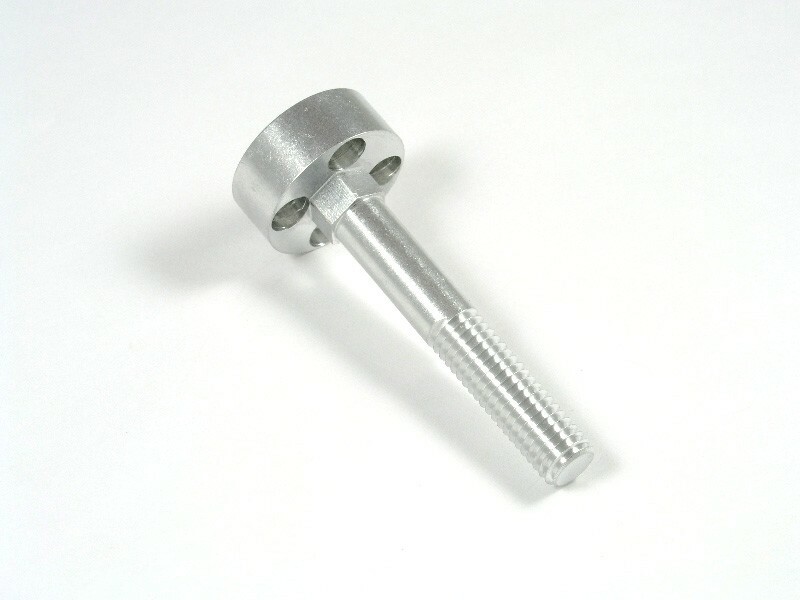 - These are designed for propeller hubs requiring the hex nut for engagement and an 8mm hole.